‘From the Depths’ is a tad generic for me as far as a title goes for a Dark Ambient album, but no matter. Cristian Voicu has produced here a fairly solid representation of stable atmospherics that resonate where necessary, providing a bed of nooks and crannies where subtle nuances leak through cracks in the foundations he initially laid down. Rather than following an organic approach, FTD has an overtly electronic feel that occasionally leaves a taste of unnatural static in the air. For me however, this damages the overall impressions that you want to echo with you after listening to any self-respecting Dark Ambient album. I like my DA oily and fluid, I like to feel I am sinking into a mire of oppressive sludge and this for me feels like it has been produced (forgive me if I am wrong), by someone who doesn’t necessarily listen to the genre on a weekly basis, merely paying lip service to his peers. Of course there is nothing wrong with this at all, but it does show. The momentary bliss towards the latter stages of ‘Awakening’ provides a light-bulb moment which Voicu should grab onto with both hands. 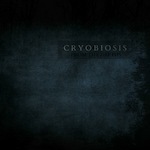 If he thinks about what he has produced here, there are many avenues in another genre that would most likely suit this artist best; a solid start as far as releases go, but maybe the future of Cryobiosis lies on a platform somewhere remarkably different. I will leave him to figure out where I am directing him. This entry was posted in GV Sound. Bookmark the permalink.